With the chilly, autumnal evenings growing darker, the time has come to think about the more secretive corners of the world. And I have just the place. Varosha – which is based in the Cypriot city of Famagusta – was once a highly desirable place to laze away the summer months; a vacation favourite among Hollywood icons such as Elizabeth Taylor and Richard Burton. 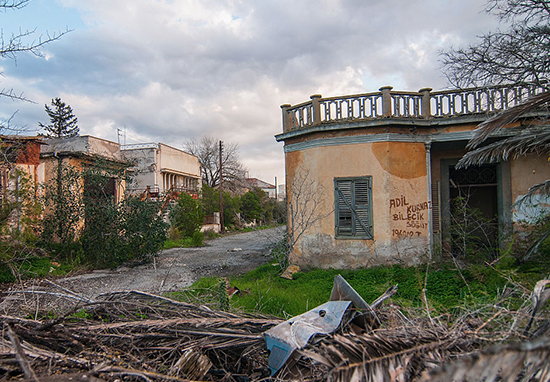 However, everything changed after Turkish troops conquered and sealed away this once lively town in 1974; forcing terrified residents and guests to flee for their lives, leaving unfinished breakfasts on kitchen tables and toys in nurseries. 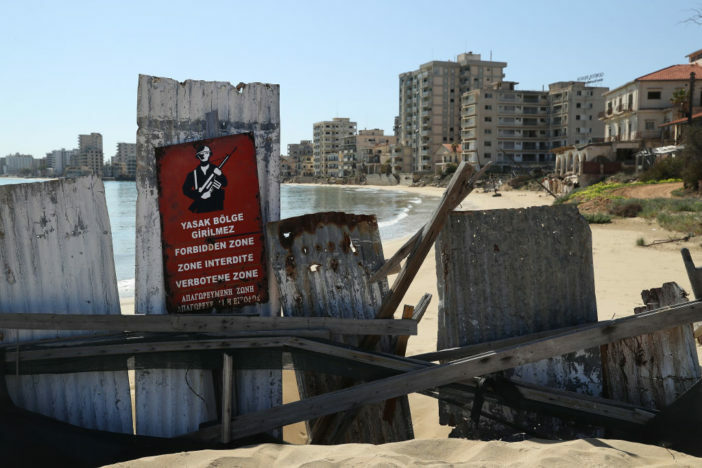 Varosha is still guarded by armed soldiers to this day, with the faded possessions of those who once lived there gathering dust with every passing year. Vintage cars rust in dealerships, while seventies era clothes decay in boutiques. With a population reduced to zero, the champagne has long stopped flowing in Varosha, with the singing and dancing of bejewelled leading ladies replaced by a deathly silence. 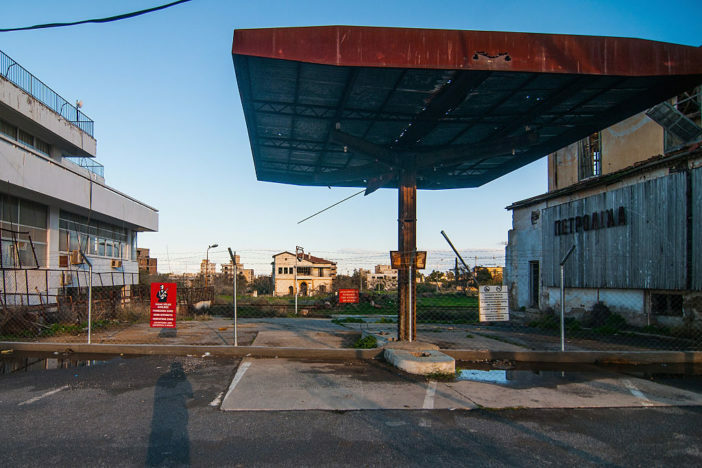 If you were allowed to cross the fence into this ghost town, you would be forgiven for thinking yourself on the set of a post apocalyptic horror movie. 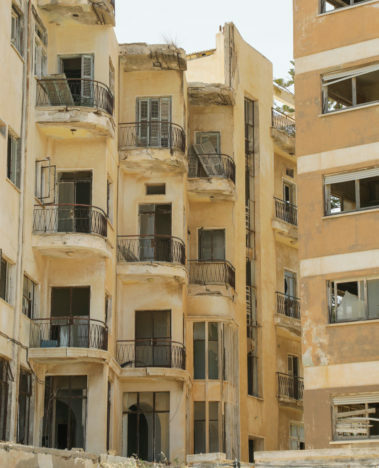 Varosha has been left to crumble for over 40 years, with visitors strictly prohibited. The lavish hotels moulder in the sunshine, with the once well tended balconies strangled beneath festering masses of weeds. The streets where celebrity lovers once strolled in the moonlight, discussing movie scripts and award seasons, have deteriorated beyond repair. Indeed, it has been said Varosha would have to be knocked down and rebuilt entirely should it ever be reopened. Turkish soldiers, UN officials, scientists and journalists are the only ones to have legally set foot in this eerie place in the four decades since it was fenced off from the living. However, there are individuals who sneak through. Many of those who have managed to capture footage and images in this forbidden zone have risked arrest, injury or even death in doing so, with the soldiers guarding fence authorised to use lethal force. As reported by the Cyprus Mail, three male students were arrested after found trespassing on the site back in April 2018. The picture that I had in my mind was of a kind of paradise. But it felt like some sort of post-apocalyptic nightmare. You’re seeing nature take over. Prickly pear bushes have overrun the entire six square kilometres. There are trees that have sprouted through living rooms. It’s a ghost town. According to a 1984 UN Security Council resolution, the desolate town may only be resettled by the original residents, which cannot be achieved until Turkey chooses to hand it back. Until then, Varosha will be left to the ravages of nature; its grandeur now just echoes in the memories of those who still remember.